Find the manuals and literature you need quickly and easily! We sell factory manuals and literature for all makes and models of vehicles from 1902 to the present. Factory manuals, such as owner's manuals that come in the glove box and shop manuals used by dealerships and home mechanics alike, are the best literature available for your vehicle. Search now to find a list of the literature for your vehicle. We buy and sell a wider selection of manuals and literature than anyone! If you don't see an item you need for sale on our website call us toll-free at 1(800) 458-2734. 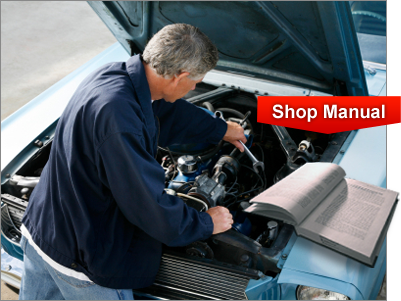 We will find the shop manual, owners guide, parts catalog, sales brochure, or restoration book you need. Please direct offers of literature for sale to our toll-free number. Buy the items you want with confidence from a secure website!